I needed to trim this particular video for my school presentation and used TubeChop for it. I was able to cut it without a problem. However, I cannot find an option to download TubeChop videos. I only see embed and share. Help! I really need to save it on my computer. TubeChop is a web-based tool that you can use for trimming YouTube videos. It’s straightforward and simple to use. Go to its site and enter the URL of the video you wish to trim on the search field. Click “Search” and it will locate the video. You may enter your desired start and end time on the appropriate box or use the slider bar to select the part that you wish to save. Click “chop it” once done and you will see the embed and share options. However, the site doesn’t come with a feature that would let you download from TubeChop. Moreover, it only supports embedding your videos onto the blog or sharing to the social networking sites like Facebook, Twitter, ect. But don’t worry, as there’s still a way to use the video you trimmed on your presentation. There are other applications that you can use to download videos from TubeChop and even from other sites. Two of these programs are Video Grabber and Video Download Capture. Our first video downloader is also web based so it doesn’t require any installation. It’s quite easy to use as the steps for downloading videos are simple. You shouldn’t have any problems even if it’s your first time using it. Get the link of the video you trimmed on TubeChop and paste it on the URL field of Video Grabber. Click “Download” button and then choose preferred format and resolution on pop-up page for the video. Note that, the webpage will guide you to download and install a small component called Launcher which can make the downloading process more stable and faster. Absolutely, this component is totally safe that won’t harm your computer. 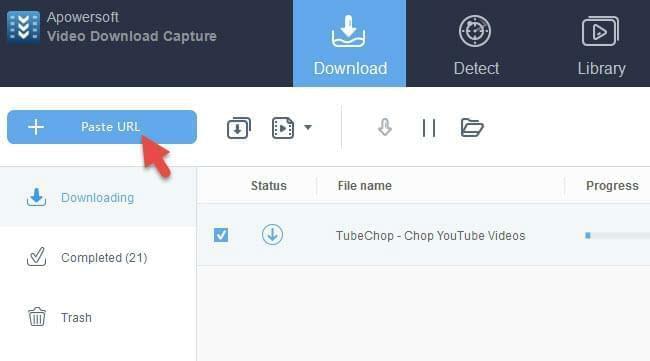 This TubeChop downloader supports different video formats, including 3GP, FLV, MP4 and even MP3, in case you wish to get the audio part only. Click the download button next to your preferred option and wait for the download to complete. Cons: Need to connect to network for downloading. To download a video, copy its URL, open the program and click “Paste URL” button on main interface. Also, you may download multiple videos at the same time as it supports downloading videos in batch. As mentioned, you may edit the video and even save it in another file format that you prefer. It supports a wide selection of video formats that you can choose from. Next, to chop your video, click the “Convert” tab and then add video file into the program. Click “Edit” button to activate video editor. Trim or make necessary changes then click “OK” once done. If you wish to change the format, choose the desired option next to “Profile” and click the “Start” button to start the conversion process. Pros: All-in-one program to download and trim TubeChop video. Cons: Need to pay for the pro version. Tips: if you are using Mac, the Apowersoft Video Downloader for Mac will serve our needs, simply download and install it. After that, you simply copy the video link from TubeChop, and then tap on the “Paste URL” button. Within a matter of seconds, you will save the videos on your Mac. Quickly download it with the link below. The two programs are good choices for your TubeChop download, as well as getting videos from other sites. However, if you’re after convenience and better features, Video Download Capture is the clear winner. 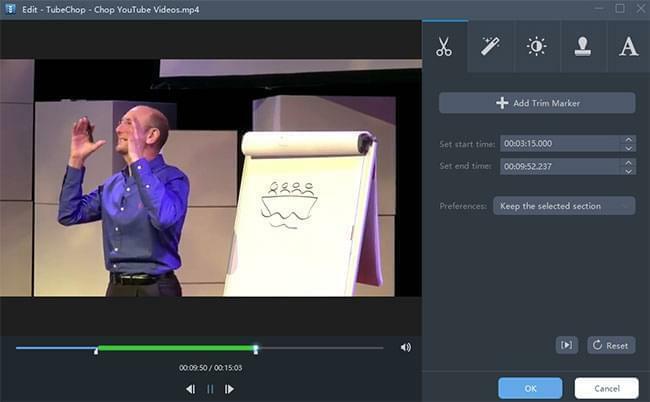 You don’t have to use different applications for editing and downloading videos as this program can do it all. Ok I found it but it doesn't work. "Sorry, currently we could not find any download link" when pasting a tubechop link. Hello, sorry, i guess this site has changed its rules so that normal video downloaders cannot grab it successfully, but you can use video grabber pro to detect any videos you like from Tubechop. Simply play the videos, the program can automatically detect the videos. (Use Video Download Capture) where exactly is this website? please link the page. @Zoe Green, is VideoGrabber Pro free? I don't want to download something that's only a demo and forces me to pay for it later. Hello Ash, the VideoGrabber Pro is free to use but it has some limits for unregistered users, for example, you are only allowed to download from some popular video hosting sites. If you prefer a totally free downloader application, videograbber.net will be the most appropriate one. Good luck.